What do Bowen Treatments entail? 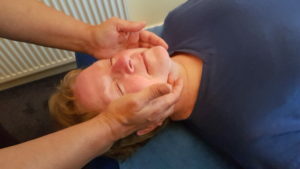 The Bowen technique is a non invasive therapy. It is performed through suitable light, loose fitting clothing. The therapist uses finger and thumb movements on soft tissue to encourage the body to release tension and start its self-healing process. Clients usually achieve a deep sense of relaxation during the treatment due to its low impact style. 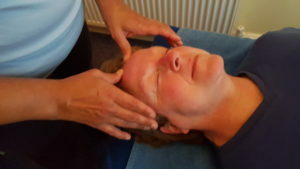 The overall relaxing effect and sense of calm Bowen generates can last for several days following a treatment. Prior to a course of Bowen therapy treatments, it is advisable to speak to the therapist for an initial free consultation. This will allow a better understanding and make the Bowen more effective, tailoring the treatments tailored to your needs. Call Yvette on 07973 638050 to book an appointment. Find a clinic near you? Due to its gentle nature, a Bowen Therapy is suitable for all age groups and a wide range of health conditions. Individuals such as children and older people who require additional care are ideally served by low pressures and the minimal movement the patient is required to do in a Bowen Session. You can get more details on your specific case by talking to Yvette on 07973 638050 or contacting her via the contact form here. Bowen sessions can usually last between 40-60mins. The intial session including the assessment can take up to 90 minutes. A course of 3 treatments is normally recommended. More sessions may be required for long-standing conditions or if re-injury occurs. PLEASE NOTE. The Bowen session will contain short gaps where the therapist lets the client rest in between manipulations. This is completely normal and is a key part of the technique in letting the body rest and heal itself. Please ask the practitioner if you are unsure. Sessions cost between £40 to £50. A 10% discount is offered for booking a course of 3 treatments at the 1st session. Yvette is fully registered with the Bowen Institute and insured. See here for details of registration and insurance.